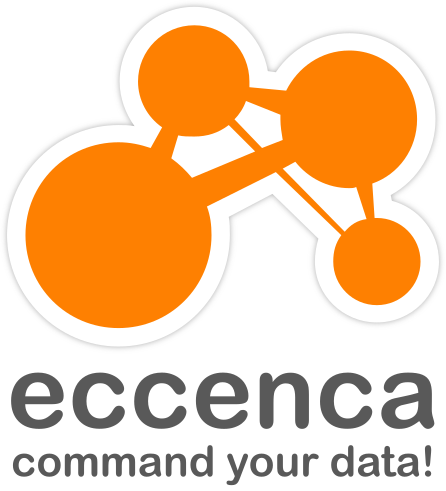 eccenca - command your data! eccenca was founded to help organizations manage and understand their enormous and growing volume of disparate data. eccenca is unique in the world of data & information management. We combine semantic technology with Big Data programming in such a way that our customers leverage their existing infrastructure for high-powered analytics and reporting. With our solutions, customers can maximize investments in their current IT skill-sets. Use eccenca Linked Data Suite (eLDS) to connect old and current data with new technologies. Our solution bridges the gap between yesterday’s legacy systems, and today’s aggregated data lake. eLDS manages huge quantities of data with dozens of data sources. eLDS is based on an advanced data discovery model, combining the capabilities of semantic technology and Big Data scalability with structured data connectivity. With this approach we can substantially improve access to information. Our solution is most powerful with our CorporateMemory module by combining visual knowledge graphs with large data lakes. eccenca Linked Data Suite (eLDS) for financial services greatly improves a financial institutions ability to meet regulatory reporting requirements. Our solution for financial services is new cutting edge technology that provides one access point to all types of data, and allows banking officials to rapidly answer many important operational and regulatory questions. eLDS reduces the time required to gather relevant operational and transactional information needed to validate assumptions, analyze profitability metrics, and meet all regulatory reporting guidelines. at our booth in the exhibition area during the conference where we present projects, tools and best practices from the financial and automotive sector.